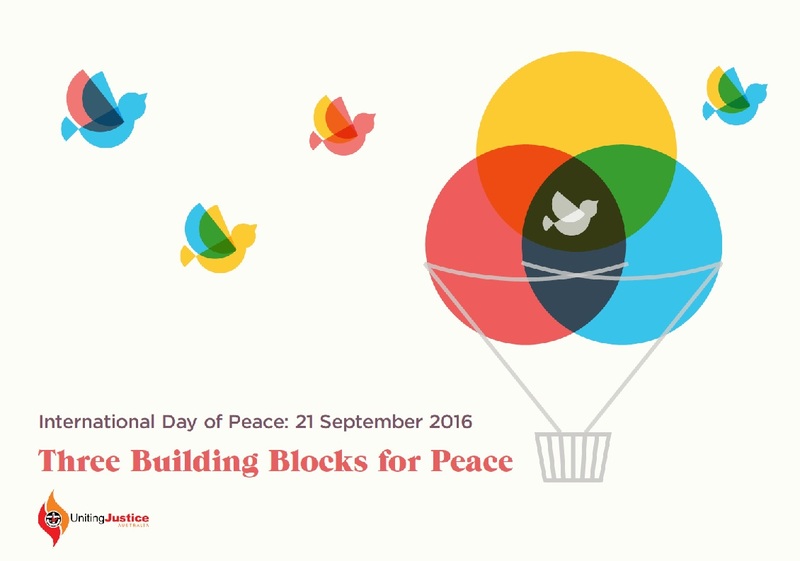 UnitingJustice has created an International Day of Peace resource. The International Day of Peace, marked each year on 21st September, is a time for individuals, community groups, nations and international organisations to re-commit to the way of peace with justice. Three case examples highlight ways that the Uniting Church is working in partnership with others to address gender inequality, take action on climate injustice and seek nuclear disarmament. Through addressing these injustices, we move closer to reaching a just peace. This resource includes theological reflection, worship resources, and action ideas for activities in support of peace with justice. The resource includes theological reflection, worship resources, action ideas and videos and stories on three “Building Blocks for Peace”. The three videos are short enough to use in worship or group discussions. Susan Pickering compiled the worship resources for us – thanks Susan!! Friends from the SA Synod assisted with the section on “Ending the nuclear age” and friends from UnitingWorld assisted with the sections on “Gender equality” and “Climate Justice” so it was quite a collaborative project. Previous PostClimate change and its effects on our partner ChurchesNext PostCould you help collect signatures for our climate petition?